Boy do these guys look angry, especially the one in the lower right! 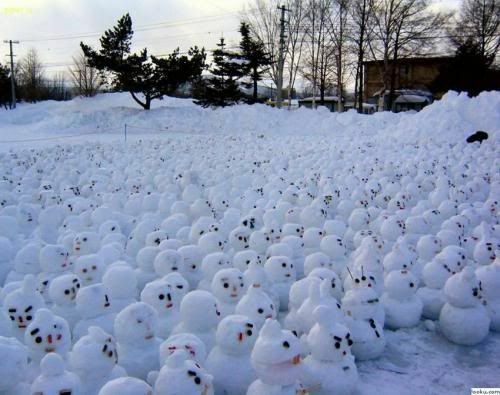 I wonder how long it took to make all these little snowmen. What's even cooler is that if you really look, you'll notice that many of them have different facial expressions. Yay global warming protest led by snow midgets! Group of teddies... Looking Good.